A few years ago I was heading from Spain to France. I passed a popular town on the French coast just before I reached Perpignan and always regretted not stopping there. 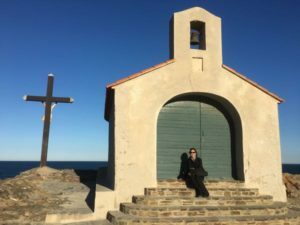 During my last trip, I finally make a stopover in Collioure and am so glad I did. It’s a fishing village on the Mediterranean that is (sorry to use this word but it really does apply) “charming”. But it has more than just “good looks”. Here are some things you might enjoy if you visit (and you should). 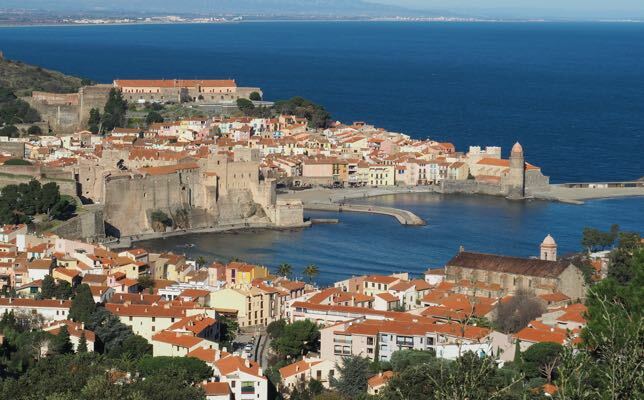 Collioure has been occupied by both the French and Spanish in the 1600s and 1700s because it was an important strategic location. Louis XIV took steps to improve the Château Royale de Collioure and Fort Saint-Elme as both fortifications were vital to the French. Those two fortresses still figure prominently in the town, one by the port and the other high on a hill. 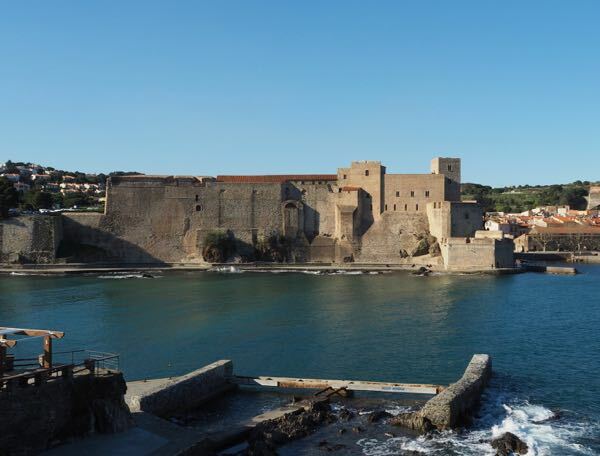 The Château Royal fortress is right by the harbour and unfortunately, when I was in Collioure, it was closed. One could walk up to the gate and walk around, but you couldn’t go in. Perhaps another time. Do this. Take a hike up from the town to Fort Saint-Elme. It’s easy and not like hiking in the French Alps. On your way up you’ll keep thinking, “Wow. Nice view”. But your reward is truly given when you reach the top. Fort Saint-Elme typically has exhibitions and on that day it didn’t matter that it was closed as the weather was so nice and the view was excellent. From high above you can see the Moulin de la Cortina—another windmill in the south of France! 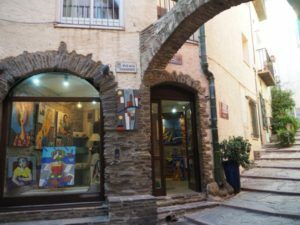 Today, when you walk around the small town, you will pass pastel-coloured buildings, cafes overlooking the port, attractive alleyways, and lots of restaurants and art studios. 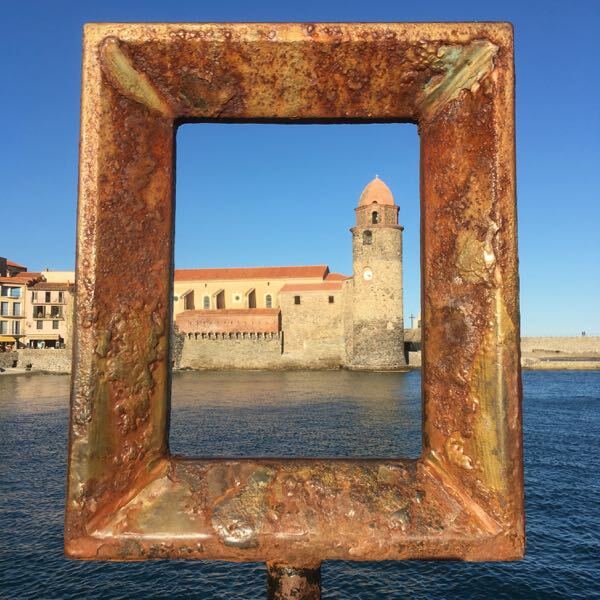 It’s understandable why so many artists headed to Collioure; the light, the colours, and the entire town were great inspirations. French artists Henri Matisse and André Derain spent time in Collioure in the early 1900s and refined the Fauvism style of painting which uses vivid (and intense) colours. 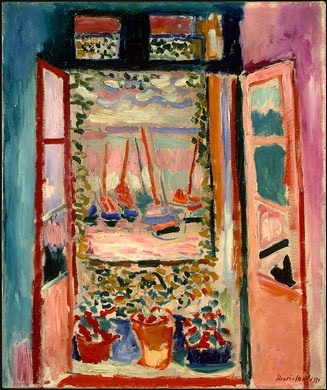 Matisse’s most famous painting, “Open Window, Collioure 1905” is on display at the National Gallery of Art in Washington DC. 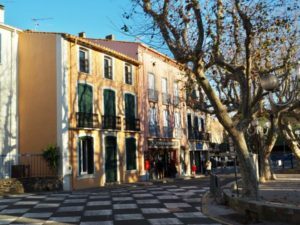 When you are in Collioure, consider taking the Collioure Chemin de Fauvisme which is a walking route around town where 19 reproductions of paintings by Matisse and Derain are shown in the place where they painted. 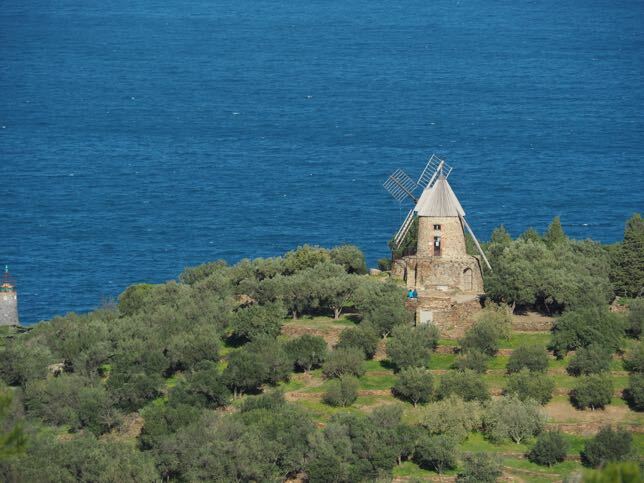 Check with the Collioure Tourist Office as there is information about their guided tours. When I reached Fort Saint-Elme, I discovered one of the 12 “frames” that are scattered throughout the town and area. Marc-Andre 2 Figueres created these “12 points 2 Vue” sculptures that have steps. Once you climb up, you then discover. They help “frame” your view and provide a perspective for the photo you might take. I found some around the harbour as well. There are installations of this art in Paris and Andorra as well. 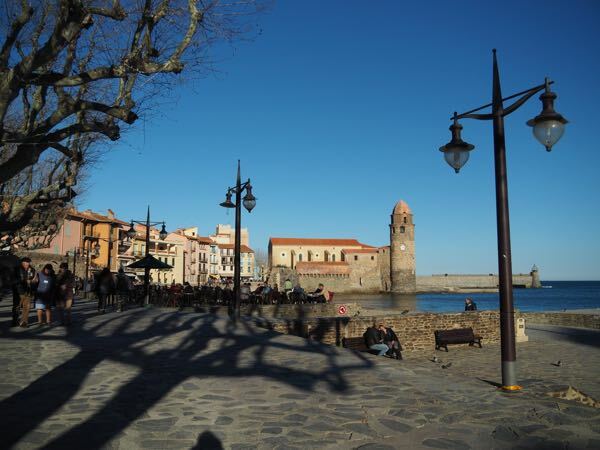 Be sure to wander around the harbour and walk out past Église Notre-Dame-des-Anges de Collioure, see the lighthouse and Chapelle Saint-Vincent and then take a break by having a glass of wine by the water. 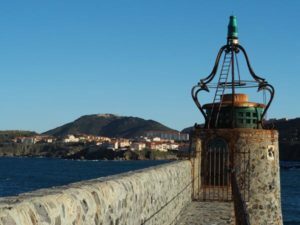 As a result of the Spanish involvement with Collioure and the town’s close proximity to Spain (only 30 kilometres from the Spanish border), Collioure is greatly influenced by the Catalan culture. So what does this mean? More tapas on the menu and Catalan-inspired dishes (ie. fish)! I had the good fortune to not encounter any crowds in Collioure but this is because I went in the off-season. The village is known to be very crowded in the summer as it is a seaside, resort town. If you decide to go in high season, book your accommodations well in advance and keep in mind that parking will not be easy. 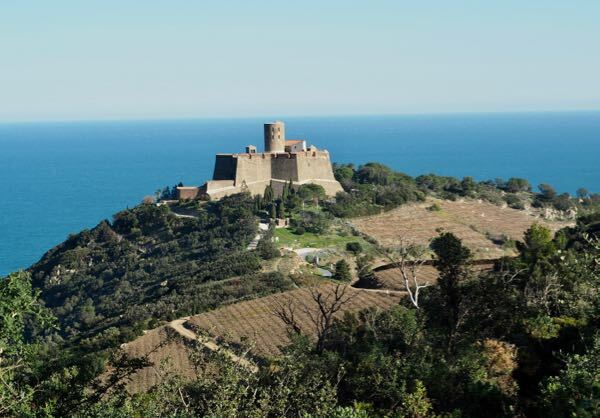 There are excellent wines made in Collioure, both reds and sweet reds. Definitely a place to visit! Yes, I enjoyed the wines of Collioure too! 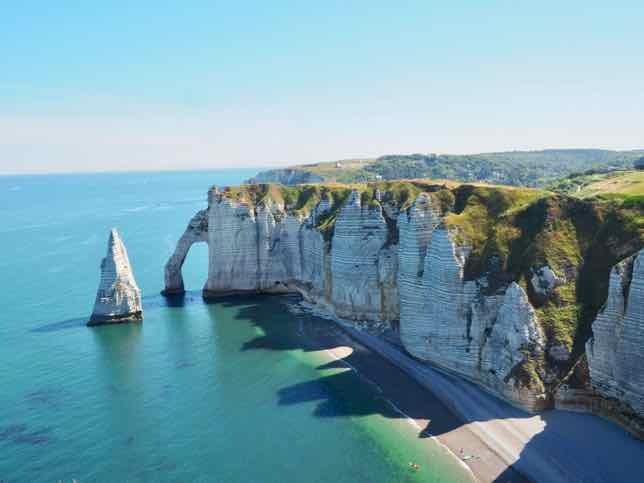 On the other side in Biarritz and St. jean de Luz and will have to check out Collioure sometime….. Loved Biarritz and St. Jean de Luz as well. So many towns. So little time! Off season in Collioure is great and the food is fabulous! I think this is one of those times when “charming” is simply the best word to use. 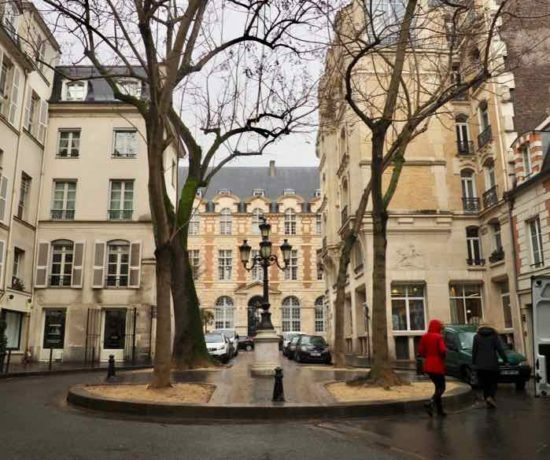 There’s really something special about those villages and cities in France on the Mediterranean. I’ve only been to a few but fell in love with the sights, sounds, food and ambiance. I’ve only visited in off-season so didn’t experience the crowds either, but it would be fun to experience a place like Collioure in the summer. We made a cruise stop there once – now many years ago – I still remember the amazing art and ceramics (two plates later. . .) they had for sale and the color of the sky. We said we understood after seeing that blue why so many painters were inspired to create there. Wish I had bought some pottery or art. Oh well. Another trip! Thx so much for introducing me to Collioure, Jan. I’ve never heard of it, but when I return to France, I would love to check it out. Up until a few years ago I too had never heard of it…which is likely why it’s one of those “undiscovered…not yet ruined” towns! We also unfortunately drove by on our way from Roses to Béziers. Your photos are making me wish we hadn’t. It’s such a wonderful coastline that I know we would have loved the town too. What a huge influence the area was with so many famous artists. I’m sure there are many more towns I have missed so I too will have to return to the area. This looks like an interesting place that I knew nothing about. Thanks for the tip! You’re right Collioure is a ‘charming’ little town. I loved the art history angle as well. The BBC video provided wonderful background. And the frames located around the town were also very interesting and different. Thanks Jan, I just love learning more about France. A new place for you to visit! The views are wonderful, especially love the one of Moulin de la Cortina-such a charming windmill and not something I would expect to see in France. I think there are quite a few windmills throughout France. The only other one I know of is in Provence. 45 years ago–how is THAT possible?? 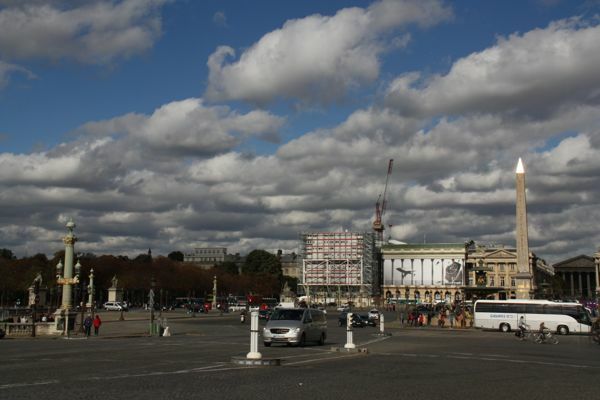 ?–I made a road trip from Paris to Barcelona with 3 other backpackers. We spent the night in Collioure, sleeping on the beach as I recall. I loved my tiny glimpse of the town and wanted to stay and explore more, but the others were in a hurry and we left again early the next morning. I have wanted to go back to Collioure ever since. Thanks for this glimpse and reminding I really should just go do it! Wow. Sleeping on the beach! Bet you can’t do that now! I would be really interesting to hear your opinions on how things have (and haven’t) changed. Sadly, I’m sure it’s much more touristy.